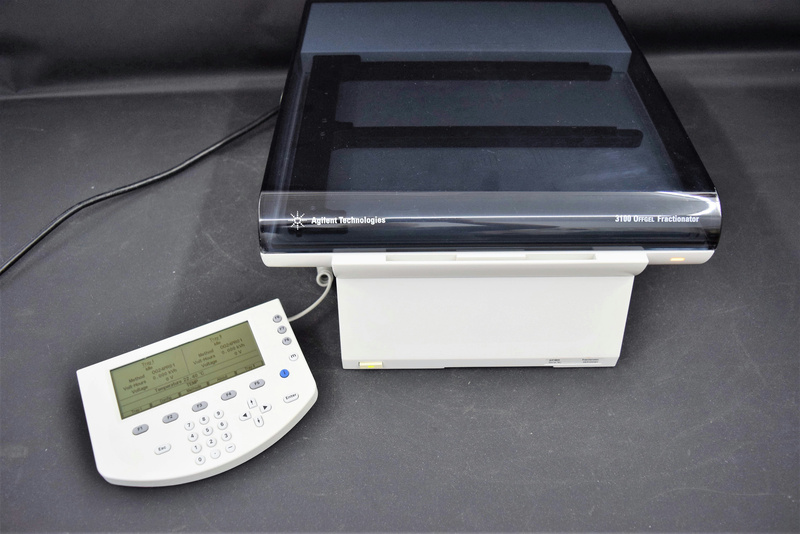 Agilent 3100 OFFGEL Fractionator Peptide Protein Electrophoresis Pendant G3100A . New Life Scientific, Inc.
New Life Scientific technicians powered on this device and cooled it down to 10ºC. There were no trays or consumables to perform additional testing, but it is guaranteed to be in working order. According to the manual, the fractionator can be controlled via the control pendant for from a PC and internet browser as well. We will not include any software or communication cables. The buyer will receive the control pendant (and cable), fractionator, and power cord only. The manual is available upon request or from the manufacturer.